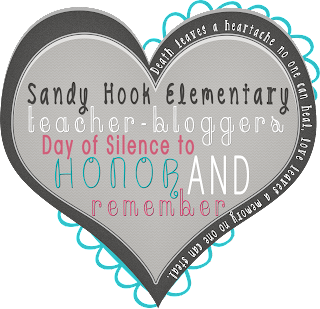 Cyber Monday Sale at Teachers Pay Teachers! TeachersPayTeachers Is Having This Wonderful Sale! 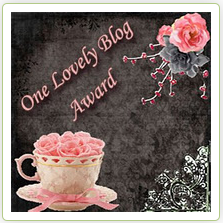 I'm offering 20% Off of Everything and then with the TPT Code, CMT12, you will get a total of 28% Off of everything! Pop on over to my store and start shopping! Lori Wolfe is an ESL - ELD teacher in Ashland, Oregon. 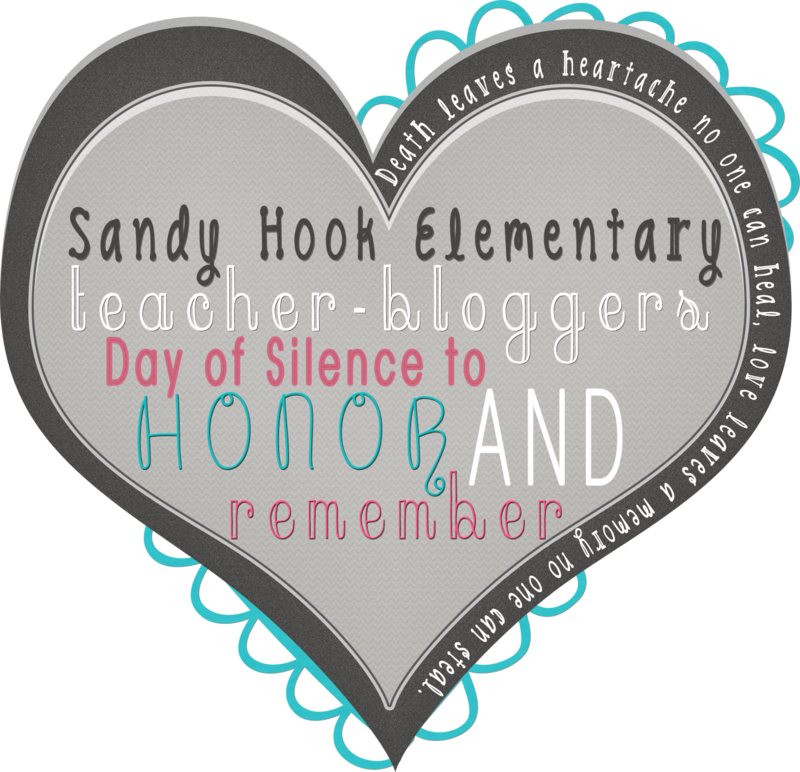 Lori is also an author, ESL workshop presenter, and blogger. Her company, Fun To Teach produces innovative curriculum for ELD, ESL, grammar, Math, Reading, and more. 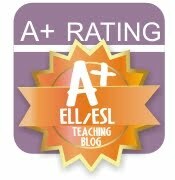 Go to http://goo.gl/OXVOG or stop by the Fun To Teach Blog for ESL ELD teachers: [http://esleld.blogspot.com]http://esleld.blogspot.com. Here is a link to a great list of ideas to use with second language learners. for sending this list my way. She also shared a great email signature which I added to the list of email signature tips on the side bar. ELL Tip: ELs who have IEPs need MORE scaffolding, modeling, guided instruction, direct instruction, language structures, questioning (checking for understanding), prompts/clues/signals, frontloading, and building of background knowledge. She pulled this from an ELL/SpEd/RTI course given by Dr. Julie Esparza Brown @ PSU this summer. I was looking for a variety of graphic organizers and stumbled upon Thinkport. More prefix and suffix songs! I wanted to share some great YouTube videos for teaching Prefixes. Stay tuned for some rap and rock and roll! I just wanted to thank everyone who attended Friday's workshop in Portland. We shared knowledge and learned about the Common Core connections to ELD. Oregon ELD teachers rock! Have you heard of Lanternfish? 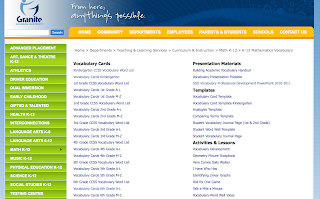 It has Worksheets, lesson plans, games and more. This site has printable resources for free! My favorite page is the ESL Game Board Page. It has a ton of game boards and they can be edited to suit your needs or ready to print! The ESL game boards found on this page are in the form of Microsoft Word documents. It may take a few second to open. Just click, print, and photocopy. A great motivating TEFL activity. Word Skills: Review synonyms, antonyms, beginning sounds, ending sounds, middle sounds, and rhymes. Guess What: Practise the word skill of saying what things are using relative clauses such as a person who, a place where, a time when, and a thing that. Elementary School Science: Comprehension and vocabulary questions for grade 2-4 elementary school science. 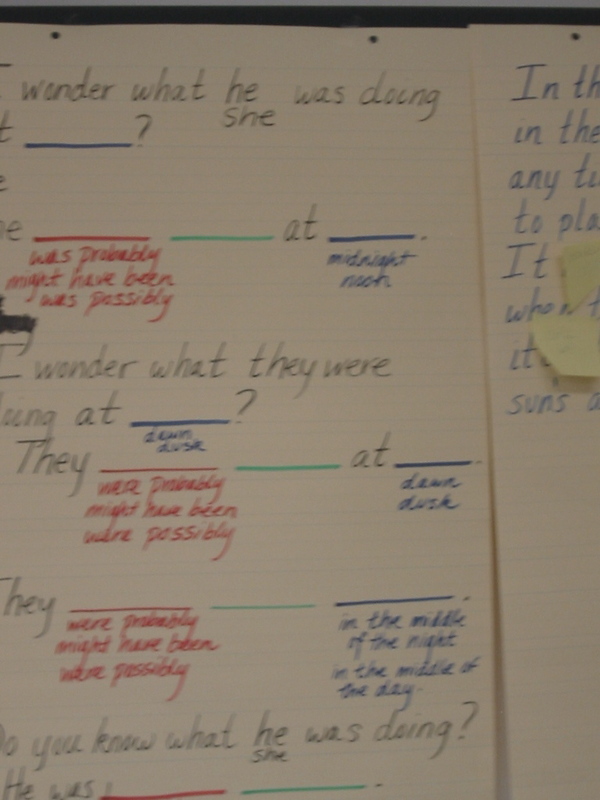 Past Tense Talk - Students must make a sentence with the verb that they land on. They also must use also use an expression of time according to what number they role. Animal Kingdom: Describe, Compare, and Contrast - Students describe and compare animals with lots of animal vocabulary such as gills, horns, hooves, scales, fur, and tentacles. 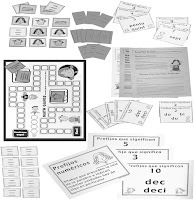 A collection of big board games for teaching decoding and spelling skills. Phonics CVC Words Spin and Spell - Students spin and a dial and say the words combining the spin with the square that they land on. Sent in by Jennifer McCabe. Present Continous Verses Simple Present- Students make statements using the present continuous or simple present depending on the time marker. Sent in by Regina Diesel Gomes. 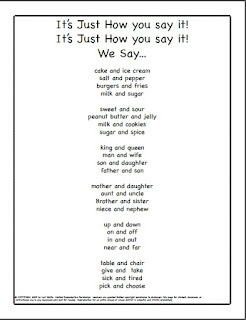 Comparative Adjectives- Students use comparative adjective to compare two things. Sent in by James Mangan in South Korea. Action Verbs- Students land on a verb and act it out. Sent in by Lisa Haim. What Would You Do If . . . - A game for practising hypothetical speech and would. If you like this game you might also be interested in a game that covers a similar topic: Hypothetically Speaking. Say Two Things and Ask a Questions - Students have to talk about whatever topic they land on and ask another student about the topic. Say Two Things - Another version of 'Say Two Things' (sent in by Peter Blank from Japan). Say Four Things - A good game for younger learners. They have to say four things about whatever topic they land on. Future Talk- Students answer questions about the future using a variety of future expressions such as: I'm going to . . . I've decided to . . . I'm planning to . . . I might . . . I'm thinking of . . . Goes well with this worksheet on future expressions. 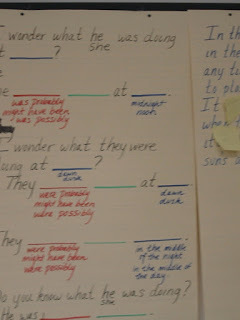 Frequency- Students have to make a sentence using a phrase and a frequency adverb. And then they have to ask a question. Thanks to Susan Kuhn for sending it in. Personalities - Students talk about people they know using personality vocabulary such as stingy, generous, moody, and adventurous. Embedded Questions - A grammar focus game where students use embedded question noun clauses to make sentences. High level and grammar oriented. Noun Clauses - An advanced grammar game. Students have to construct sentences using five different kinds of noun clauses. Very difficult and very grammar oriented. Rhymes and Opposites - Suitable for younger students. 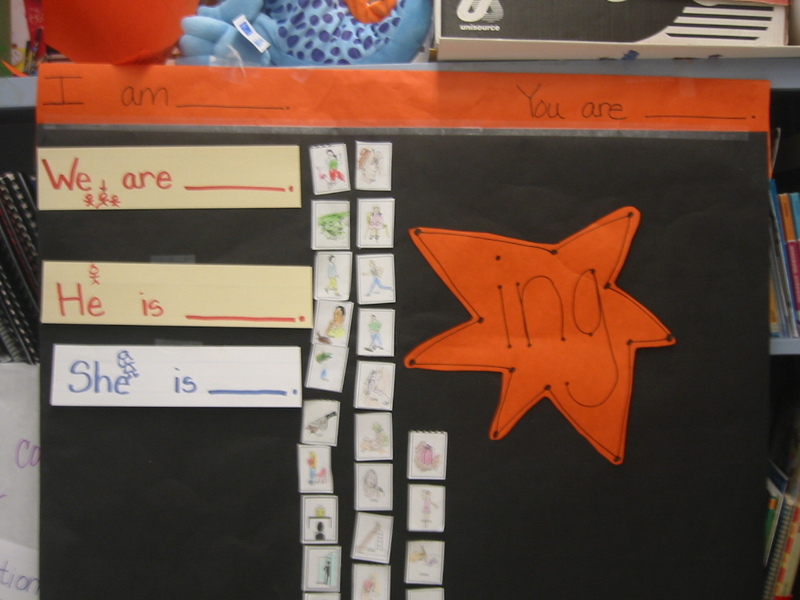 Students have to find opposite words and rhyming words. Simple Past and Present Perfect - A nice review of grammar for the simple past and present perfect. Sent in by Yann Vienne in France. What if - A nice review of conditionals. Sent in by Yann Vienne in France. If consequences- Another nice review of conditionals. Sent in by Regina Diesel Gomes. Irregular Past Tense Verbs- A game which covers the past tense of irregular verbs. Sent in by Gitel Hesselberg. Irregular Verbs- This game reviews irregular verbs. Sent in by Yann Vienne in France. Favorites- Students name their favorite things and why. Sent in by Robert Fidler in Korea. Wishes and Hopes - Students discuss their wishes and hopes about a variety of topics. Sent in by Cristina Petersen from Global Village English Center Ltd. Victoria, Canada. Adverb Board Game- Students role the dice and land on an adjective. They must change the adjective to an adverb and use it in a sentence. Sent in by Brandy Rath. Wh Question Game- Students role the dice and land on a word. They must make a WH question with the word. Which WH question will depend on the dice rolled. Sent in by Marjorie Clarke in Spain. Job Gameboard- Students land on a tool or a place and must describe who uses that tool. Sent in by Troy Gray. All About You- Students role the dice and land on a question that they have to answer about themselves. Sent in by Kristin Licitis in Japan. Quiz Gameboards: With these games, teachers print off a set of comprehension questions and a gameboard. If students land on a symbol they have to answer a question with that symbol. Special thanks to Stephanie Rothwell for designing the first version "Dinosaur Quiz' and coming up with the idea. Of course, if you make a set of questions, we'd love to post them for the ESL community to use. Dinosaur Quiz Gameboard and Dinosaur Quiz Questions - Students cover a lot of material related to dinosaurs. Questions are heavy on comparatives. Sent in by Stephanie Rothwell. Animal Quiz Gameboard and Animal Quiz Questions - Students answer questions about animals. Sent in by Stephanie Rothwell. This gameboard template was sent in by Liron Perlmutter. Thanks go out to Liron. Check it out and let us know what you found on this site that is helpful! 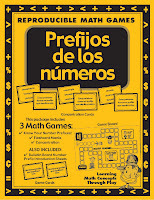 Perfect for ESL/ELD classes and great to use with native speakers of English or ELL second language learners. 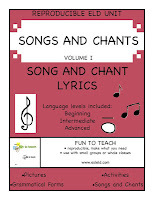 Have fun and watch your students sing themselves to better English grammar! 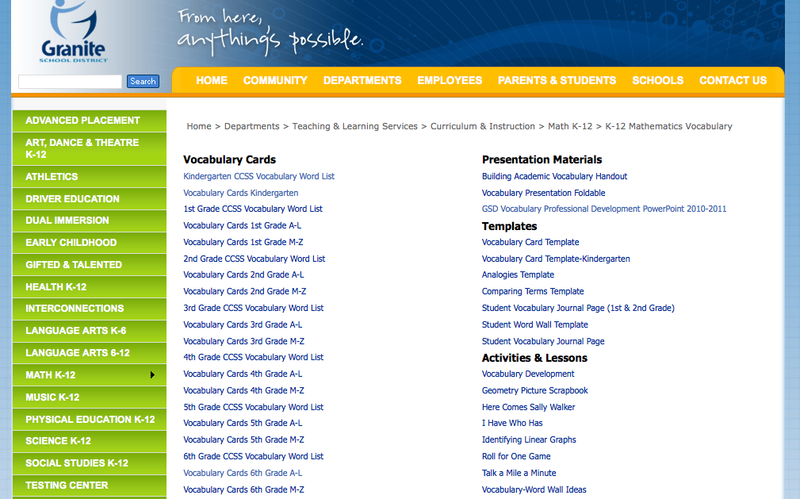 Great website for Vocabulary Building! Do you know Martha the talking dog! Martha can help you kids increase their vocabulary in a fun way. This site has games that enrich vocabulary through play. The goal of Martha Speaks is to increase oral vocabulary, the words we use when we talk. The shows are not trying to teach kids how to read. 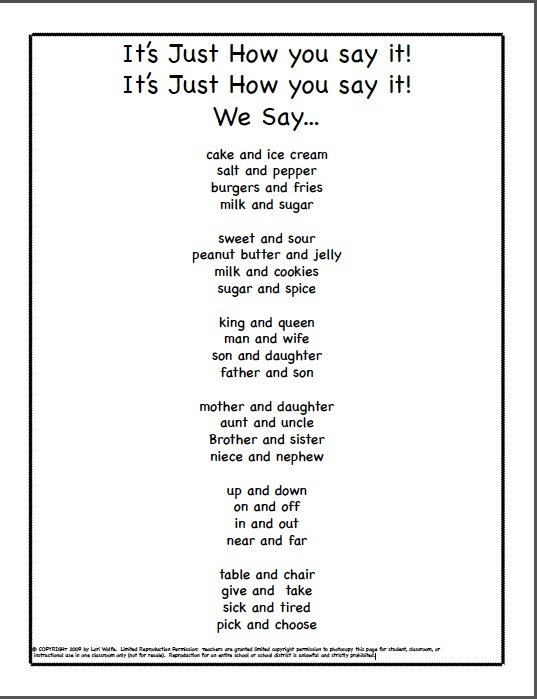 They are designed to help kids understand what words mean when they hear them; words like retrieve, sprout, and crave. Martha Speaks is designed to teach up to 20 words in each show. And how better to get kids excited about learning and trying out new words than with a talking dog, who just can't stop talking? !